I got a sad text from Dad at 2:30 pm today. Mom was playing mahjong with her pals and his leg was acting up, he thought maybe he couldn't make today's tutoring session because it hurt too much to drive. 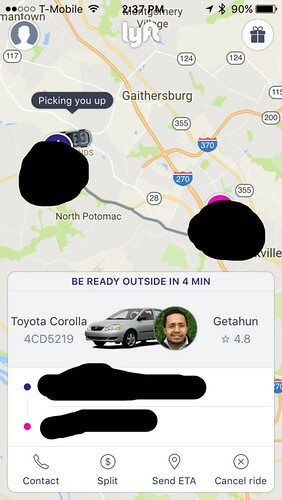 I suggested calling a Lyft for him thinking he'd turn it down, but no! he was up for trying it out. I called the first car for him to pick him up, but when he was ready to leave our house, he'd installed the app on his own iPhone and called a car for himself. I'm impressed! Less than 5 minute wait for door-to-door service, about $12.50 one-way. Not super cheap - but less than an hour-long private tutoring session. I've never ridden Lyft or Uber, but now Dad has. 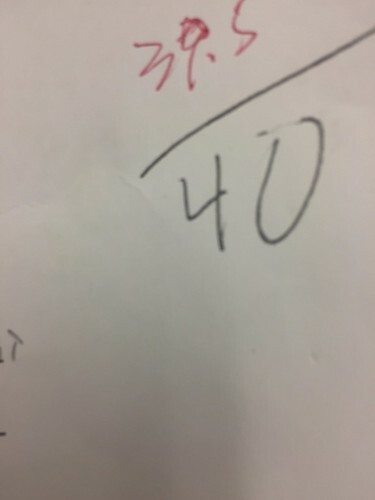 And we gotta keep it up - Vince texted us his Chinese exam score. Sweet! Oh, and Vince wants you to know, this is the most exciting thing on the internet right now. 56 million views.